We Can Fix Vaillant, Potterton, Ideal & Baxi Boilers. Professional Boiler Repairs In Brixton Provided By Fully Qualified Engineers. Our Emergency Response Team In SW2 Can Respond To Your Emergencies, 24 Hours A Day. Trustworth Plumbing offers precision and durable boiler repairs in Brixton. Our trusted team of expeirencedl engineers also have the skills to carry out expert installations, as well as a thorough boiler 'service'. There has never been one produced that we can not successfully fix. Our engineers are very experienced at fixing the commonly installed ones. Our team are experts at fixing Vailliant, Potterton, Baxi and Ideal gas appliances. We are always happy to explain to you the benefits of getting your boiler serviced regularly. We offer a good choice of packages that are designed to produce real improvements. Some people choose to never have their gas appliance checked. It is no surprise they regret that decision when a replacement is their only option. Our company is on the Gas Safe Register. So we are legally allowed to carry out gas work and we take safety very seriously. Working with gas on a daily basis, we have complete respect for it. Trustworth are among the best in the business. Our expert team can easily repair all types of leaky boilers. It doesn't matter if the leak is coming from a broken seal or pressure/temperature valve. Our aim is to always complete every job safely and to the highest standards. You can trust depend on our experts to make sure everything is running smoothly. Your boiler can not last forever, so you need to plan for the future. Our boiler repair Brixton team are happy to discuss our aftercare packages with you. They are all designed to cut the frequency of future repairs. 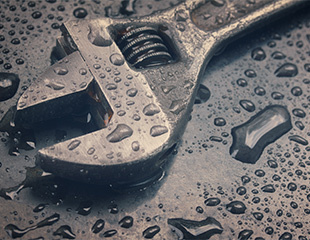 If you have any questions about maintenance, then we are happy to answer them. Our customers are loyal to us and we repay their loyalty with doing a consistent high standard of work. We feel it is vital we work in a very transparency way. So we will always attempt to fix your appliance (if it is possible). There are times that your boiler is impossible to fix. So your only option a replacement one. There are other local heating companies who offer boiler repairs in Brixton. We stand out because we always look at how we can incorporate the latest industry back advancements in technology. We enjoy our job and follow every single safety rule. We have the vital experience to handle any technically challenging central heating problem. Trustworth Plumbing believes it is better to do everything possible to prevent needing a repair. We always recommend that think about a regular boiler service, after having a repair done. Not many people think about the need for maintenance for their appliances. When something eventually goes wrong it, that is when they decide to act. Things can go wrong in more quickly than you expect. If you have a family of young children, waking up to no hot water can always be chaotic. If you experience that particular home heating emergency, you know who to call. Your boiler is one of the most important components of your home heating system. So wouldn't you want to do your best to make sure it can stay in perfect working condition. One thing that is very clear about our boiler repair Brixton team - they always get the job done safely. If you live in SW2 and need help with a boiler breakdown - Trustworth Plumbing can come to the rescue. Our fast response repair service is available for this specific heating emergency. We are available every day of the week. Our job is to attend and quickly establish what the fault is. Brixton is in Lambeth and has seen many new businesses locate there. 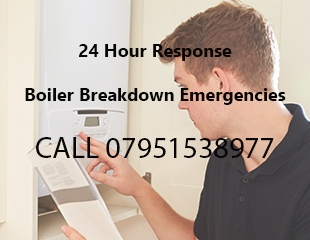 Our boiler engineers can handle all their boiler breakdown needs. We want to make sure that it works even more efficiently, if possible. This is a key step to saving money. If it is not working efficiently, then you could possibly be wasting money on heating. 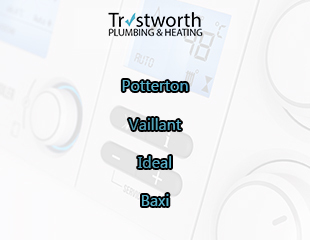 Trustworth Pluming are experts at repairing and installing the following boilers: Potterton, Vaillant, Baxi and Ideal. We offer the professionally thorough checks that meet all industry guidelines. It is vital you hire a qualified gas safe engineer for this type of work. Gas is very dangerous and in the wrong hands - fatal. Our once or twice yearly servicing packages offers you excellent aftercare. Call us so we can discuss with you, the right package your household. We have an experienced boiler installations and repair team who are very skilled. You will need to safely dispose of your old boiler if you are getting a new one. Trustworth offers a 3 year guarantee on all installations. We can respond quickly to all boiler emergencies in SW2. Call us on 07951538977 for a same day response. Our 24 hour response service gives you peace of mind a qualified engineer is only a phone call away. We always try our best to get to you as quickly as possible. When we arrive our first goal is to safely take control of the situation. Your safety is very important to us, so we take no chances. If you are elderly or have young children, this type of emergency could be additionally stressful. Trustworth covers the South-West London region. We also offer this fast response service to business owners and landlords. It does not matter what make your boiler is - we will repair it.